Life Line Medisol Pvt. Ltd. is one of the most promising and leading Medical Solutions provider i.e. 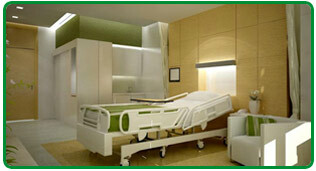 Modular Operation Theatre, Modular ICU equipments and Modular Interior equipments/furniture for Healthcare industry in India. It is a unit of Life Line Group of companies who are in the field of Medical Solutions since 2012. We have imported range of Hospital Equipment for different kind of requirements with world class quality and service. Life Line Medisol Pvt. Ltd. achieved the ISO 9001:2008 status in the beginning of 2012. With the spam of time we have established long term business relationship with our overseas suppliers who follow the CE certificatoin, HTM standard for makeing world class medical equipments. Most of our suppliers follow the european standards. We replenished our range of products with Hospital Equipment and Hospital Furniture for hospital use. We always give attention for quality to reach maximum customer satisfaction through our modular design and after sales service. Increasing our products diversity without compromising their quality is our main duty to our customers. Life Line Medisol’s USP is our commitment to Quality. All our products are sourced from the leading manufacturers in the industry. Each and every product has to pass through stringent quality control checks to ensure 0% error or defects. This ensures that our clients are always assured of being able to provide a professional and glitch-free environment to their patients. In addition, we at Life Line Medisol assure you of 100% service backup and post-sales assistance. Our guarantee of exemplary service is what sets us apart from the other players in the market. Medisol, though based out of New Delhi, has the capability to undertake projects across the length and breadth of India. We have the expertise to carry out turn key projects and can guarantee to meet any possible requirement that a client may have. Our product range is ever expanding and we can source and supply the latest equipment in the market as per the client’s need. In addition, we at Medisol are ever ready to offer our consultation services to our clients at no extra cost.